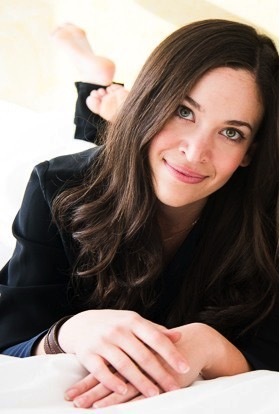 In 2009, fine lingerie designer Arielle Shapiro (now Mizrahi) founded ARI DEIN and quickly developed a reputation for locally produced luxury goods in Manhattan and beyond. Inspired by boutique hotel living and art deco style, Arielle's (Ari's) architectural details and exceptional tailoring contributed to a range of unique, nostalgic, and versatile silk sleepwear. Dedicated to an Old New York "forgotten" era and a family history of excellence in the New York Garment District that spans four generations, Ari's collection speaks to a time when custom lingerie was made to order and with great care. Ari's work has been featured everywhere from Gossip Girl to Elle Magazine, from Forbes to Vogue. In 2012, ARI DEIN was selected for the CFDA's prestigious Fashion Incubator, a two year professional development program geared toward accelerating the success of fledgling American fashion labels. With the CFDA's mentorship, Ari was able to grow her boutique business into an International, department store brand, selling most notably with Bergdorf Goodman and Neiman Marcus. In 2013, Ari was tapped by Carolina Herrera to collaborate on the House's first ever sleepwear capsule collections, ARI DEIN for Carolina Herrera and AD for CH Bridal. Ari also collaborated with W Hotels, creating signature cotton pajama sets for their property in Miami's trendsetting South Beach. Presenting collections from New York to Russia to Singapore, and many places in between, Ari's textiles, prints, and color stories have been inspired by a life well traveled. In 2014, Ari was awarded membership into the CFDA for her work at Ari Dein. Ari currently shares her time between New York and Vancouver, Canada, consulting on design and creative strategy for lingerie and apparel brands.